We've decided that we would break up the Corvette Video section into different sections so they are easier to find. This is where you will find all videos related to the C1-C4 Corvette. These are a little harder to find good ones of so enjoy. Which brings me to a good point if you would like to share a video and have it posted on here let me know. Just use the Contact us form below. 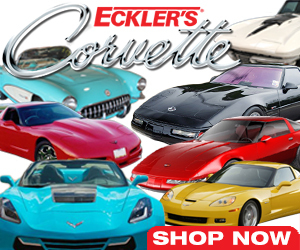 Have something to share about Corvette parts or the best wax you like to use! Do you have a great information? Share it! This is the place where everybody in the Corvette community can share things about their Corvette. Have a question ask it here. Share a picture of your car here.